So I had a few thank you cards that had to go out. I knew I wanted to use the Lots of Lavender stamp set. It is by far one of my favorites that I earned during Sale-a-bration. I colored in the florals with my Stampin' Blends. 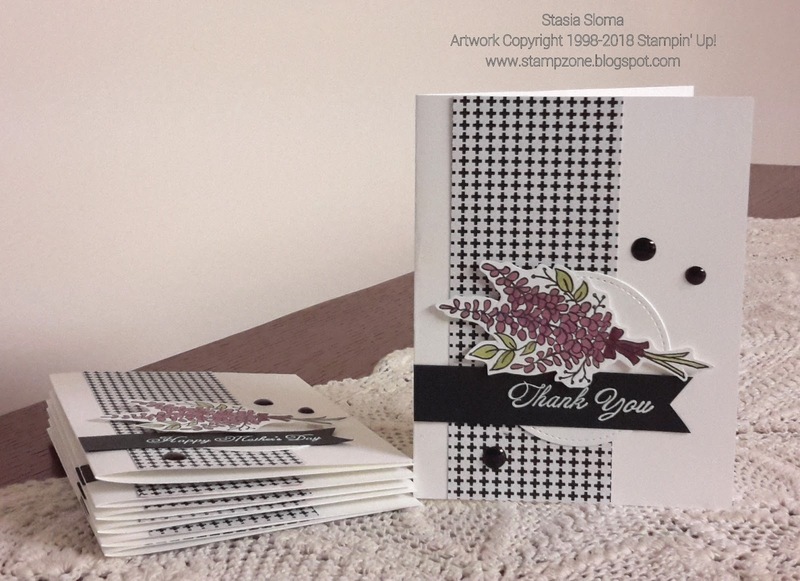 The sentiment comes from the Heartfelt Bloom stamp set and it was heat embossed. The designer series paper comes from Stacked with Love. I colored in my Perfect Accents with my Sharpies and the card was complete.